EV3000-D-IR750 Long Range Camera System with detection range up to 20+ miles, Explosive-proof Cameras, Stainless-steel Housing. Radar interface camera system. 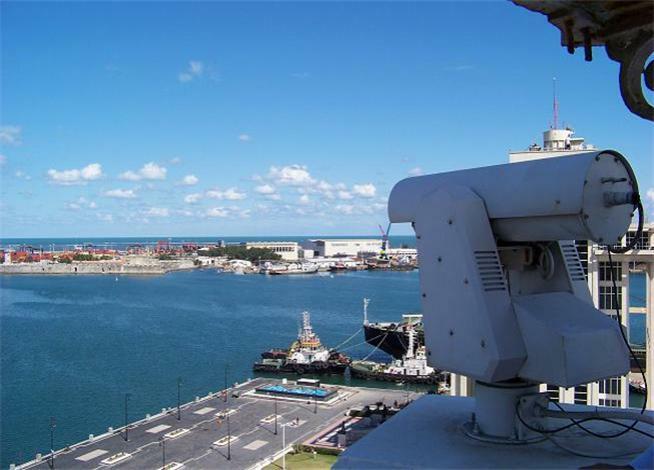 Thermal Eye with 640x480 resolution utilized HD Day Camera with 16.7-2000mm lenses that provides 4K full-color video images. Heavy duty Stainless Steel Enclosure, Forget rust and salt air corrosion. Anti- Corrosion. 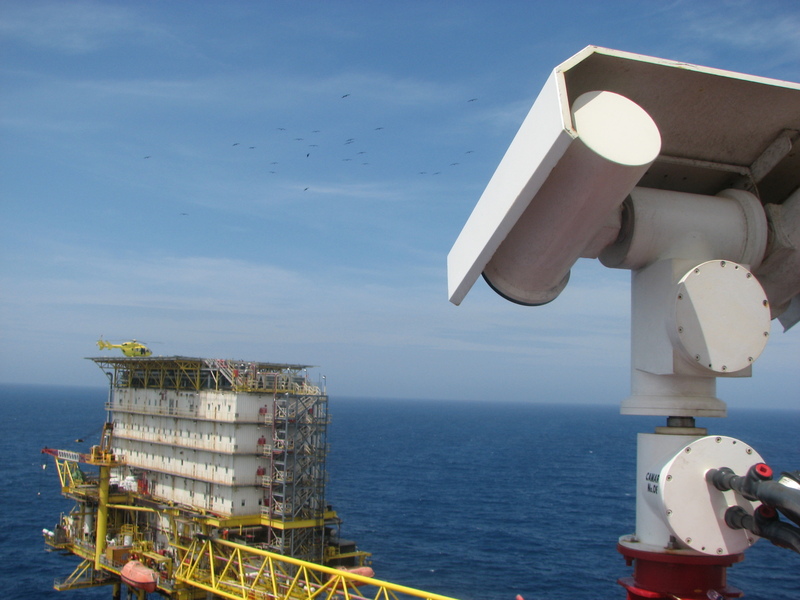 EV3000-EXD-IR100 The ev3000-ex Series is a long range explosion proof 1 - 25 km IR infrared thermal for offshore gas rigs and oil rigs camera systems are used in explosive and hazardous atmospheres. They are designed to meet the rigorous requirements of explosion-proof and dust-ignition-proof electrical equipment for installation and use in hazardous locations as Offshore rig Oil and Gas Installations Security . These enclosures are also waterproof and dust tight. EV3000-HD EV3000 cameras are a Long Range PTZ with ranges from 1 to 20 km. Built with rugged housing, anti rust and air-salt, also available in explosive proof. The dual PTZ camera has a FLIR IR camera with HD CMOS camera all in an Explosion proof camera certified for use in hazardous areas. 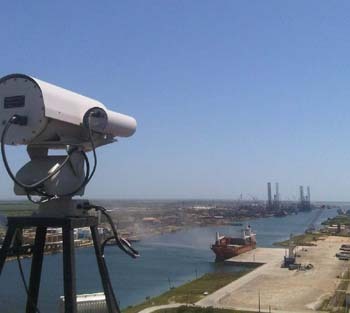 Camera Zoom distance are 1, 5, 10, 15,20, 25km option Laser range finder, laser illuminator 1-3km range. 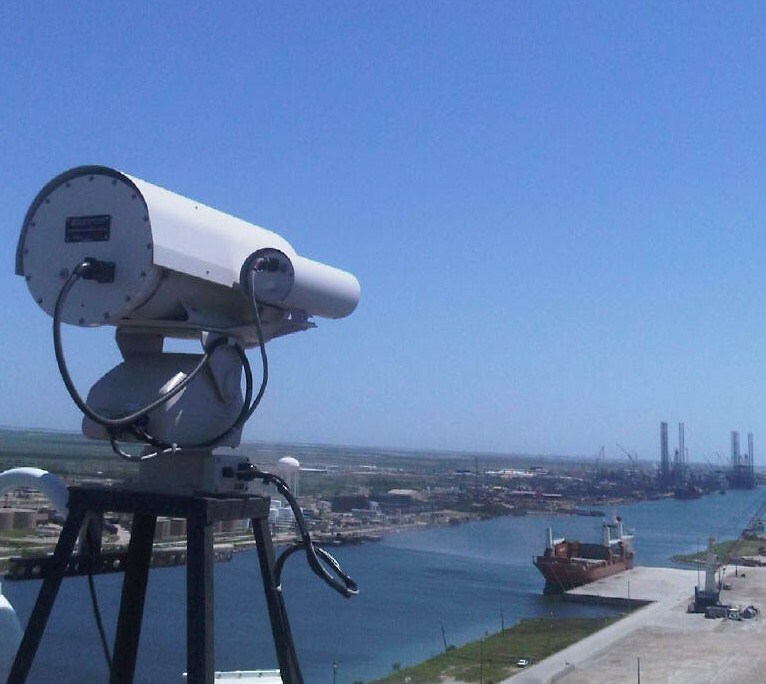 We specialize in Long-Range Security Cameras that are designed to meet requirements that can withstand extreme heat, military front-lines, marine bases, security threats, and more. Since our start in 2000 we have had multiple successful projects that have satisfied our customers. We use IR Thermal, Night-vision, Long-Range systems with any per-existing or new CCTV systems to make it easy for you to carry out your security needs. We are send our cameras around the world. 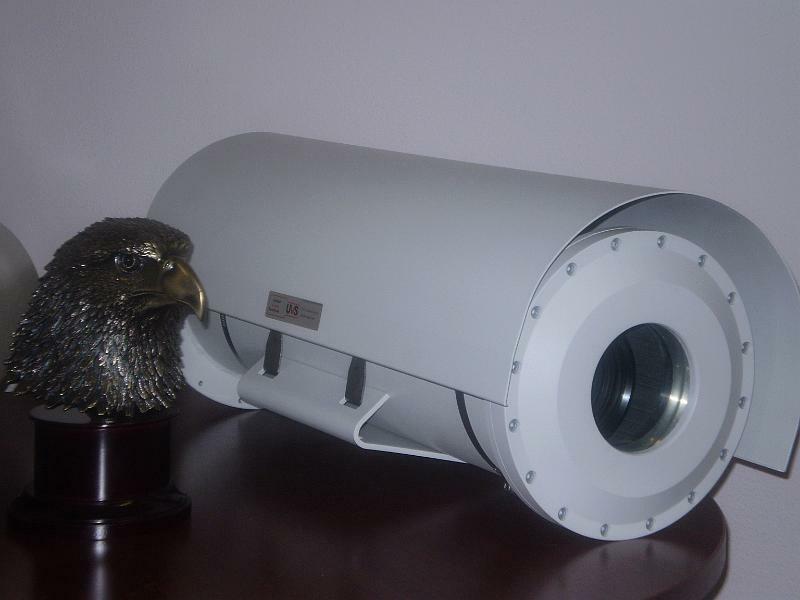 United Vision Security Systems, Co.
We can customized solutions to meet most of customer's requirements based on budget. devices in operation on Cape Cod. Very impressive! with other similar cameras and these came on top, and the prices are also the best. This company has some of the best PTZ modules in the industry, they are extremely smooth and accurate". Offshore, Marine, Rig, Buoys, Calm buoys, Point buoy camera and weather monitoring system. The EV3000 HD 4K is the world’s highest color low light enhanced night vision sensor technology. like the imagery in extremely low light levels.